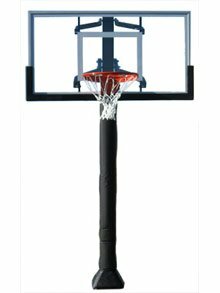 The game changer GC55-MD basketball system features a 4 x 4 post and authentic gymnasium play with a professional quality breakaway rim. 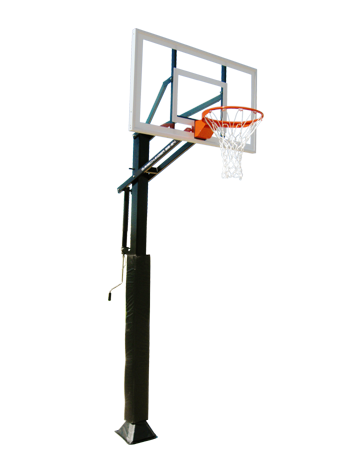 The GC55-MD Basketball System is an in ground basketball hoop designed for aggressive basketball action. 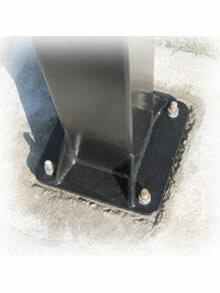 One Peice 5"x5" pole is far superior in strength to competitors two-piece design. 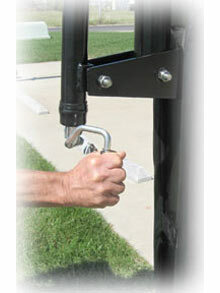 The GC55-MD includes a convenient anchor bolt mounting system that makes it easy to level or relocate the basketball goal. 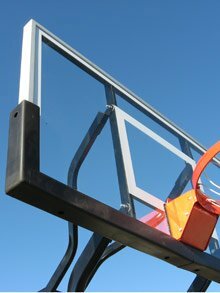 Enjoy authentic gymnasium play with a professional quality breakaway rim and ¼" thick tempered glass backboard that provides true, authentic rebounds. The overhang provides plenty of area for post play. 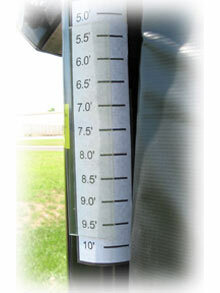 The all-steel actuator allows simple and precise goal adjustments from 7.5 to 10 feet.